Migration is not a thing, like water, but the individual or combined actions of many individual people, all with their own experiences and motivations. 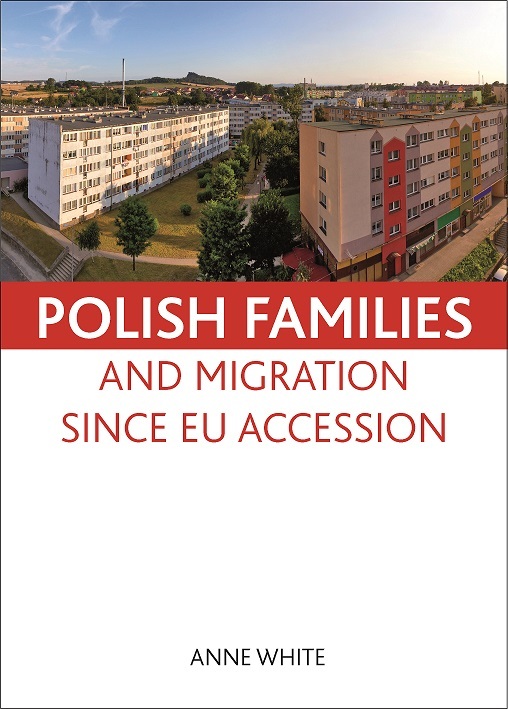 My book, Polish families and migration since EU Accession, explores the stories of Polish parents in the UK – and how they talk about their integration, transnational practices and feelings about possible return to Poland – to understand how they make decisions about how long to stay and how, as it has transpired, they hardly ever decide to go back to Poland. In my book¸I demonstrate the seemingly unstoppable dynamics of networks, as family members and friends of the ‘pioneer’ migrants move abroad, often without definite plans to stay, but find themselves putting down roots, and inviting other Poles in turn. The EU provides a free movement space, but since most EU citizens do not move abroad (even if they could make a better living by migrating) the absence of immigration controls cannot on its own explain why migration happens. The main point is that the free movement space allows families and friends easily to re-unite across international borders. This, as much as economic factors, explains why Polish and other Central and East European migration has continued apace since my book first appeared in 2010. The family reunification process is now visible in many other West European countries, not just the UK. Networks have continued to function dynamically despite the global economic crisis, austerity policies and increased hostility towards migrants from majority populations. I undertook 115 in-depth interviews with Polish mothers in Poland and the UK, as well as fieldwork notes and a specially-designed opinion poll in Poland about family migration. A new chapter for the paperback edition draws on my 114 interviews for three recent projects as well as ethnographic fieldwork and a vast reservoir of English- and Polish-language Polish migration research which has suddenly appeared in the last few years and which I also review. Most of my research was conducted in Poland, in the conviction that migration is best understood by combining a sending and receiving country perspective. My fieldwork sites had rich histories of migration and a strong but changing ‘migration culture’ which was evident from how interviewees talked about migration and the workings of networks. Migration should not be ‘into the dark’ (with nothing fixed in advance) but if you could go abroad ‘to someone’ it was worth ‘giving it a go’. 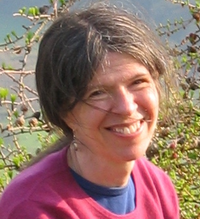 Individuals and families who migrated were not condemned by neighbours for being materialistic or unpatriotic: instead, they were said to be migrating ‘for bread, not coconuts’ and a ‘normal’ standard of living. Most interesting, however, was the fact that the migration culture was changing with regard to taking children abroad. Whereas until very recently the norm has been for just one parent to work abroad, usually the father, returning at intervals to his household in Poland, there is now widespread agreement that this produces too much heartache and that ‘families should stick together’. In other words, the reasons why Polish children move to the UK are to be found in Poland as much as in the UK. On the one hand, classic family reunification where the husband goes first can appear to simply reinforce traditional roles. However, on closer examination it appears that family reunification is a step towards, and evidence of, more equal relationships between spouses. Not all wives are happy to stay in Poland and wait for their husband to send them remittances. Moreover, the book illustrates that wives, and sometimes also children, have a major role to play in shaping the family’s migration strategy. A decisive event in many families, and one which deserves attention from scholars, is the ‘inspection visit’, when family members visit the husband shortly after his departure abroad. In other words, it is important to look closely at what is entailed by ‘family reunification’ for twenty-first century migrants, and to recognise that it does not necessarily imply the playing out of conventional gender roles. Polish families and migration since EU accession by Anne White can be ordered here for £21.59. I think that it is unfair to separate families. I have seen hundreds of people who said that they have been living without their partners. some people for more than 15 years. In this modern time we should not allow this happen in this country. Government should speed up all backlog cases and give them decision. Migrants should have a good life here or back home. Immigration laws should not block them or delay them in these long waiting to get a decision. It is very sad to see people suffer due some old dated immigration laws. I live in the UK and voted for Brexit. I voted for Brexit because I feel like our little Island can’t take anymore people in- no matter where they are from. How ever I do appreciate that the eastern Europeans do the jobs the British don’t want to do. I really enjoyed reading this clearly written and interesting blog post summarising your throughtful research. Your use of words such as families, parents, mothers, fathers, wives, husbands, spouses, children, friends and young people directs readers towards thinking of Polish people as the multi-facted human beings they (and all of us) are, rather than as just ‘migrants’. Many thanks!